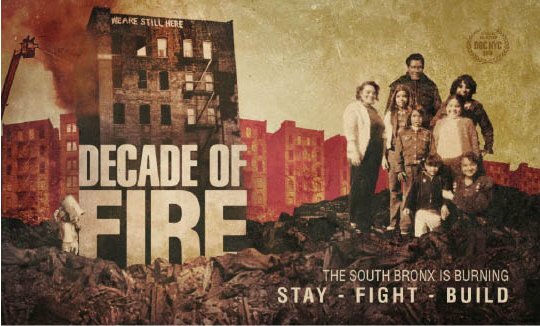 Throughout the 1970s the South Bronx was nearly destroyed by fire, government neglect and landlord greed. This remarkable film documents the story of displacement but also of resiliance as the people rallied to defend their community. Free screening 3/31 at 4 PM. Where: Holyrood Church W179/Ft Washington Ave.
Who: Sponsoring orgs: Metropolitan Council on Housing, RENA, Uptown Progressive Action, NMN4S.